From the archives: This post was originally written by me for the Digital Transformations blog, with the long title ‘Digital transformations means open access … and a whole new way of doing things’, posted on 14 May 2012. (The original, with some comments, is here). There is much talk about ‘open access’ at the moment. 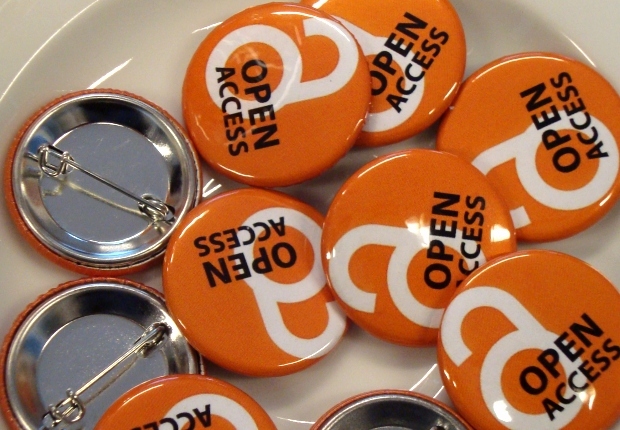 The open access movement calls for all academic research to be made available for free online. The Economist and then The Guardian, perhaps rather fancifully, characterised the growing momentum of this campaign as an ‘academic spring’ (see ‘The price of Information’ from The Economist, 4 February 2012; ‘Wellcome Trust joins “academic spring” to open up science’ and ‘Academic spring: how an angry maths blog sparked a scientific revolution’, from The Guardian, 9 April 2012. More recent Guardian articles, which continue to serve as a handy introduction to the debates, are listed here; and George Monbiot wrote a good article on this issue last year). The tide seems to be turning against the publishers of academic journals. The Elsevier boycott helped to raise the stakes. Now even the library at super-wealthy Harvard University has declared that ‘Many large journal publishers have made the scholarly communication environment fiscally unsustainable and academically restrictive’. And the UK government’s Minister of State for Universities and Science, David Willetts, pitched in on 1 May 2012 with an apparent announcement of a new open access policy (although it is not very different from the Research Councils UK statement on open access which is currently on their website but dated June 2006 – that’s six years ago). Alice Bell pointed out in the Times Higher that open access to publications is but one part of a broader necessary move towards ‘open science’ (for which, you can read ‘open research’ or ‘open scholarship’). Having articles available for free only makes a marginal difference, she points out, if those articles are incomprehensible to most people, and if researchers make no further effort to communicate and engage with a wider public. Unsurprisingly, I agree. (See, for instance, this recent video I made as part of a conversation with researchers at QUT, Australia, about public engagement). Academic journals deserve to get a kicking for their greedy pricing and parasitic business model, where academics do all the work for free, whilst the company that hoovers up all the cash is little more than a glorified printer or website platform. And of course, open access to research is a very good thing. But hopefully this is part of a broader transition, enabled in part by new technologies (yes, it’s a ‘digital transformation’), towards a whole new way of doing things. Academic blogs have gained a degree of acceptability, but are not generally regarded as ‘proper’ outlets for research. Academics continue (mostly) to fetishise peer review – a process which enables two academics, selected more or less at random, to shoot down their colleagues from behind the curtain of anonymity. The process means that a researcher may have spent 30 weeks thinking about and preparing an article, but then has to change it on the whim of someone who has thought about its content for 30 minutes – if they are willing to allow it to inch its way towards publication at all. The process from submission through to publication takes about 18 months to two years, at best, which is a deadly amount of time in fast-developing fields. As I argued at a British Library event last year (see Times Higher article, and the discussion in the comments below it), there is no reason why we can’t move to a ‘publish, then filter’ model, where researchers put online any material that they have prepared, in any form, and let it be judged by peers after it’s out there. You’ve still got peer review – it just happens after publication. This system does not actually suppress the material which previously would have struggled to be published (which may have been due to its poor quality, or other factors, such as academic fashions, or our inability to spot more subtle gems). Rather, it would promote and celebrate the things which people find to be really good and useful, through online networks and sharing. ‘Publish, then filter’ would not lead to an explosion of shoddy work, because researchers will still only want to share carefully-prepared material which they hope will have a positive effect on their reputation. But it means that interesting stuff can be quickly shared, and in a range of formats – whatever works best for the material, whether video, blog post, or more formal article. And then it becomes part of a living network: this approach means we can create valuable and meaningful links between different people’s projects in real time — rather than discovering, two years later, that someone had been doing something relevant to what you were doing two years ago. Of course, many of us work quite a bit in this way already. We do it because it works, but the activity is outside of the encouraged, mainstream behaviour (such as that rewarded by the Research Excellence Framework, and everything else that follows on from that, such as the ways in which recruitment and promotion decisions are made – most simply: who’s got four articles in a ‘top’ journal?). The ‘digital transformation’ in academic life is much, much broader than this, of course – it’s not just open access, open sharing, and enthusiastic networking. It’s also about interdisciplinarity, breaking down silos, new ways of collaborating, crowdsourcing, rapid innovation, and lots of other things. But the exciting crisis in the status quo, opened up by the open access movement, is a great place to start. Photo by Flickr user Biblioteekje (see original), used under a Creative Commons BY-NC-SA 2.0 licence.